This is convenient utility board for providing high voltages, if the current demand is low. 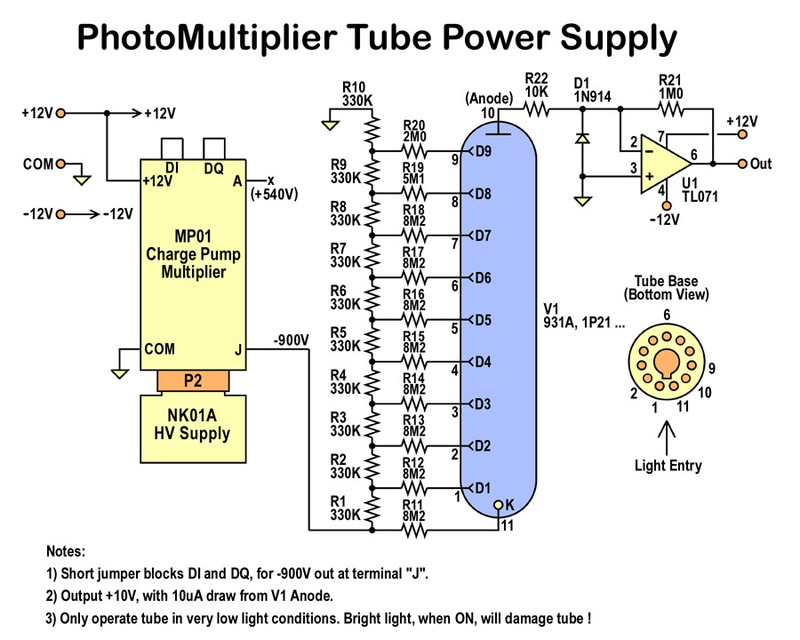 It will take any voltage, upto 250V max, and multiply 8X positive or 8X negative, or combination of the two. It has a socket, which can accommodate my switching supplies, but can also boost a pre-existing positive voltage. Sold on eBay. On the board, there is a 555 based charge pump, that converts the incoming HV+ DC, into a 2KHz squarewave of roughly 50% duty cycle. This means the high and low segments of the wave are roughly 250uS long, for each. A common 1N4007 has a reverse recovery spec of ~2uS, so it may only lose 1% of the energy, during switching. Fast or ultrafast rectifiers are needed if the 555 is switched at much higher frequencies. Those frequencies may be desired to reduce ripple. All parts are commonly found. Nothing is exotic. Simply assemble it, and set the jumpers for the desired output. They look like 10K 1/8W resistors, but are in fact 0.01uf 16V MLCC axial ceramic capacitors. Its very important, that you select the jumpers, in corresponding pairs. If not, you will damage the board ! This board can come in handy for high voltage experiments, or to replace the burned up winding of an oscilloscope CRT. 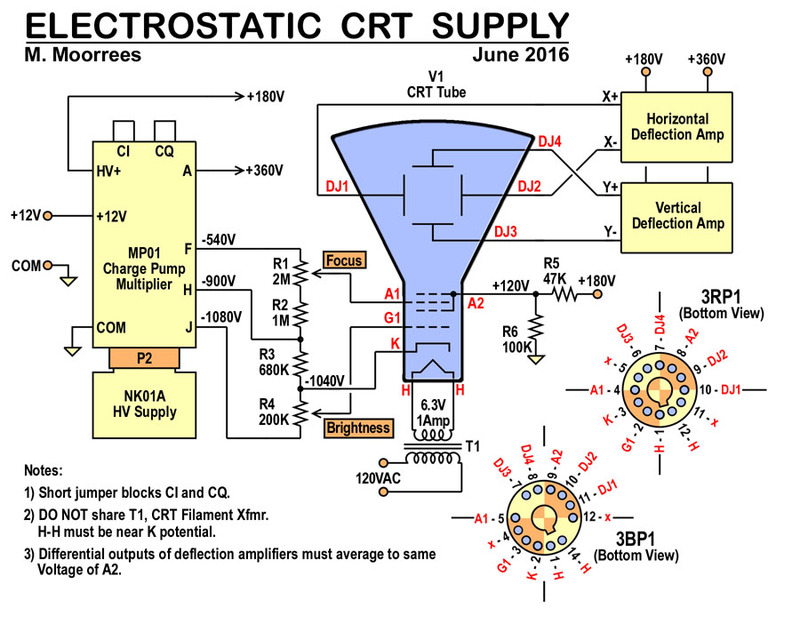 Most old scopes used a high negative voltage between -1000 to -1500V, which was applied to the cathode. That way the Ultor (anode 2), and deflection plates could be near a normal B+ voltage in the 200 to 250V range. The incoming HV+, can come from either, one of my switching supplies (NK01A, or NS6A), or any DC voltage from 12V to +250V, applied to HV+. 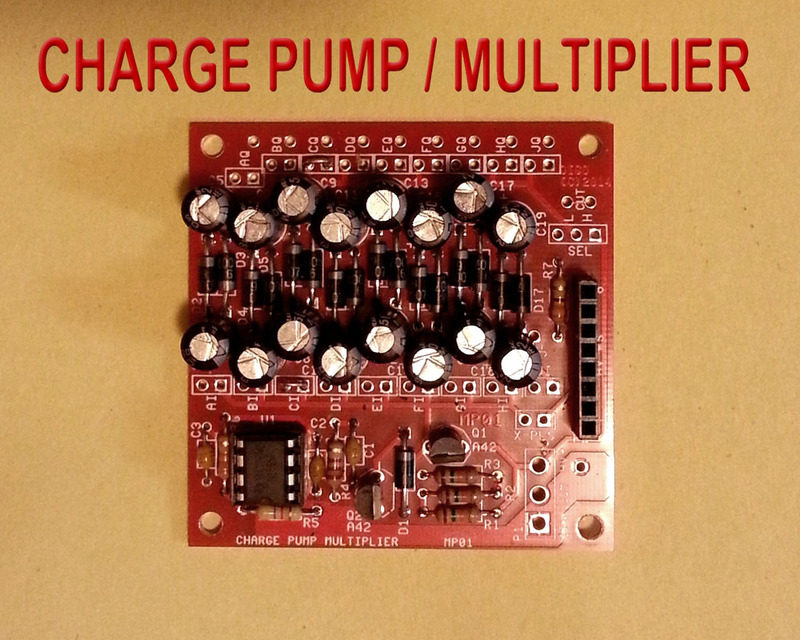 +12V, which can vary from +8V to +16V, is also needed to run the charge pump. The NK01A and NS6A can be found at eBay. 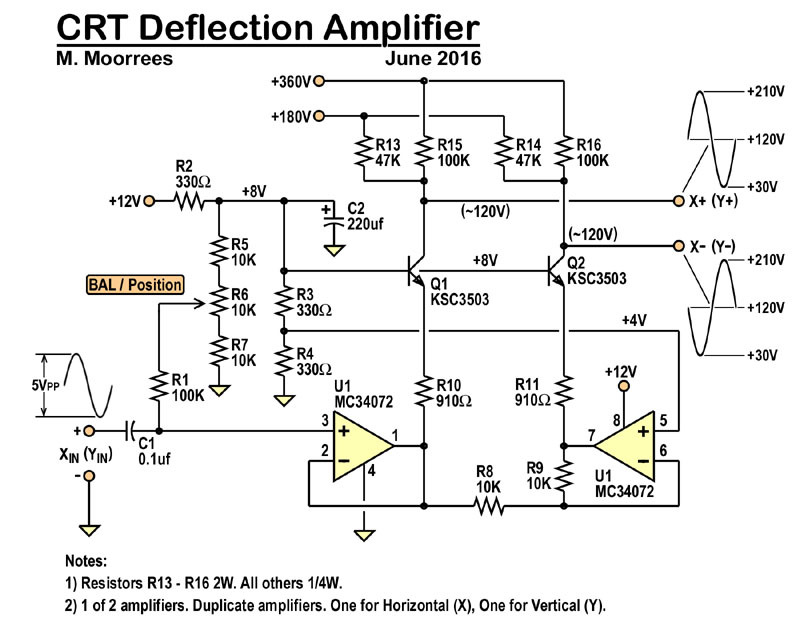 For powering the CRT filament from an isolated low voltage source, rig a Royer oscillator. 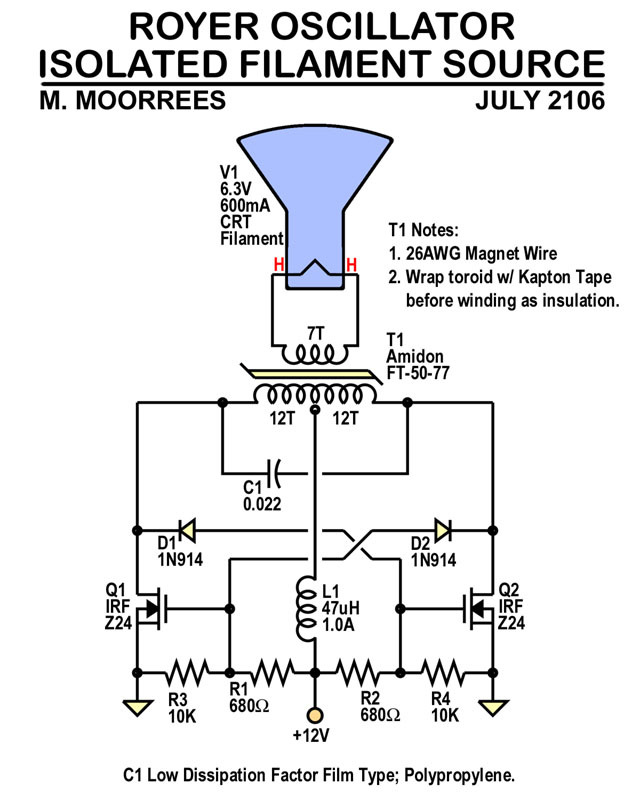 Use a small ferrite toroid as the transformer core. Wrap it with Kapton tape before winding the 26 gauge magnet wire, to insulate the core and both windings.